What sorts of things would you want to know before purchasing a new CAD Software Package? These packages are expensive, you’ll spend hours learning to use them effectively, and they make the difference between success or failure of your next CNC project. The choice you make will impact your productivity for a long time. 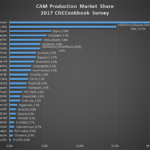 Here at CNCCookbook, we’ve been offering a different kind of analysis of these packages because it’s based not on our view of the packages, but on the views of real users of the software as determined by our 2016 CAD Market Share and Usability Survey. The ratings and information here are drawn entirely from those survey responses. Moreover, when we ran the survey, the questions were open-ended. We didn’t pick categories, we simply asked folks to tell us the 3 things they liked most about their CAM software and the 3 biggest frustrations they were having with it. The results give an unprecedented view into how real users react to the various packages. 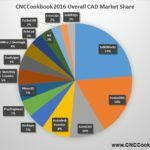 In Part 1 of the CNCCookbook 2016 CAD Survey we covered market share. In part 2 we covered Customer Satisfaction. In this installment, we’ll be covering the most common strengths and weaknesses the actual users of the packages reported. In the interests of having enough data points to make for a worthwhile survey, we will only be covering the Top 7 packages, though many more were reported in the survey. For each of the seven we received at least 20 responses from users, so the results are a reasonable cross-section of experience with the products that won’t be too shaded by too few voices. 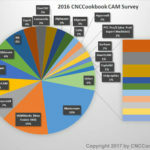 “The CNCCookbook surveys are an eye-opener and a must see for anyone evaluating CAD software. It’s made us take an extra long lunch break and consider CAD ease-of-use while eating an unreasonable amount of chili cheese fries.” — Josh Mings and Adam O’Hern, Solidsmack.com. Fellas, save me some chili cheese fries–I’m getting hungry thinking about them! Ecosystem: Users mention non-vendor resources including training, plug-ins, and vibrant user groups that can help. In some cases, the idea that the product is an industry-standard fits. Productivity: Users talk about either particular features or overall productivity–work gets done faster when productivity is there. Parametrics: Many but not all of the packages are parametric, but that’s not enough. Users have to mention particular aspects they like, such as the ability to drive constraints from a spreadsheet. Performance: Does the package feel snappy? Can it run on lower performance machine? Complex Shapes: Is the package particularly suited for complex shapes? Simulation: Is there simulation such as kinetic or FEA? Import/Export: How well does the package work and play with others in terms of file formats? Mac: Does it run on a Mac? Many brought this up as important to them. Direct Modeling: There’s an active move in the CAD world to allow non-parametric or Direct Modeling. Some users mention this as a strength. Workgroup: Version control or often just the ability to move from PC to PC seamlessly. That’s a pretty long list–our respondents varied in their ideas of what features were most appealing. Ease of Use: 20% of responses named this one. Everything else was 2% or less. For this audience of CNC’ers, the best CAD package is easy to use, integrated with CAM, has a vibrant ecosystem, is productive, cost-effective, parametric, has good simulation and support. Sketching/2D, Import/Export, and good support for Assemblies is also valued. 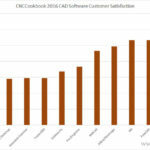 It’s interesting to see the relative newcomers, Fusion360 and Onshape doing so well in the survey while some of the market share leaders are not quite as well reviewed. I was also pleased to see one of my personal favorites, Rhino3D, do so well. It’s not a parametric CAD program at all, yet it is well received. It makes me wonder what might happen if the Rhino3D people actually made the package parametric in a very modern way so you could choose to model either via Direct or Parametric means. CAM Integration in Fusion360 is huge. In no other category, and the #2 most important category to boot, did one package have such a huge advantage over its competition. 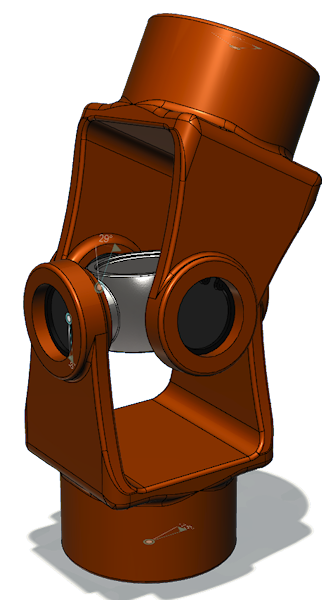 Fusion360 is a very competent CAD package, but it is the integration of all the other components and especially CAM that really puts it over the top. One wonders what this means for the rest of the CAD world. 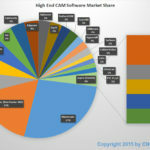 Will they ultimately have to acquire CAM companies too? And if so, which partners are left that are viable? In ease of use, Onshape has done a good job beating Solidworks. 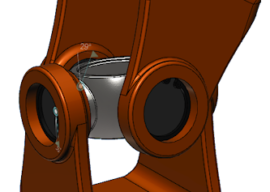 That’s what can happen when the original team behind a product like Solidworks reforms and gets a chance to change things based on all their years of experience and learning. Cost does not seem to be as big a driver as I would’ve expected, though it isn’t inconsequential either. Still, it’s clear that any vendor that thinks the only reason Onshape and Fusion360 are succeeding is cost are kidding themselves. Ecosystems such as plugins and other abilities for 3rd party software to integrate are huge. CAD packages are platform foundations for entire families of tools. Be sure to look at the ecosystem when you’re choosing a vendor! This market feels like it is consolidating. The Old Guard that are already huge are not likely going anywhere. The new players Fusion360 and Onshape are really snapping up share. It isn’t clear what older packages can do to stay relevant if they’re caught between the twin pincers of the Old guard and the New Innovators. To Get the Weaknesses, Sign Up for Our Blog Newsletter! One package is heavily dinged by it’s users for stability, more than most others. Some of these packages are really showing their age. It may be past the time to start using them if you’re not already. What are the three key features that are practically must-haves for CNC’ers, but that are not available in every CAD package? To get the PDF, you’ll need to subscribe to our weekly blog newsletter. As a matter of fact, you’ll get several other worthwhile pieces of bonus content as well. Signing up is easy–just scroll down below this article and there is a sign-up form directly below. If you are already subscribed to our weekly newsletter, I will send you an email with the link to get the PDF. Meanwhile, I hope you’ve all enjoyed this analysis. Seeing how actual day-to-day users of a software package feel about it has always been the best way I’ve used to find good software. 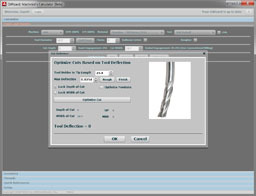 Speaking of which, you’ll find a long list of testimonials for our own CNC Software if you visit the home pages for it. Our own customers are our best salespeople–thanks to each and every one of you!